When you visit our website or request a service, we may collect personal information or other information that you choose to provide. 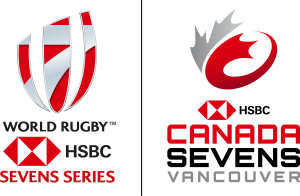 We may share personal information with third party vendors, consultants, service providers or Canada Sevens or Rugby Canada members who need to know this information to fulfill ticket orders, or to provide assistance. All information provided to our third parties is kept strictly confidential. Google has developed the opt out browser add-on. If you want to opt out of Google Analytics, you can download and install the add-on for your web browser here. You can find more information about cookies (including how to disable them) at http://www.allaboutcookies.org. No endorsement of any third-party products or services is expressed or implied by any information, material or content referred to or included on, linked from or to this website. We will make reasonable efforts to ensure that personal information under our custody or control is accurate and complete. You are responsible for providing timely updates to changes in personal information if required. You may request a correction to your personal information to ensure its accuracy and completeness. A request to correct personal information must be made in writing, and provide sufficient detail to identify the personal information and the correction being sought. We are committed to protecting personal information to prevent unauthorized access, collection, use, disclosure, copying, modification or disposal or similar risks. We use reasonable technical and security measures such as HTTPS (or SSL data encryption) to secure data when submitting information between your web browser and our website. Unfortunately, the transmission of information via the Internet is not completely secure. Although we do our best to protect personal information, we cannot absolutely guarantee security of information. We use reasonable efforts to keep your personal information accurate and up to date. You are responsible to provide updates to your personal information as soon as possible. You may request corrections to your personal information or request access in accordance with applicable legal requirements. This policy is subject to amendment from time to time. Please review this policy regularly to stay informed of any updates.